Rain Bird ESP-RZXi Interior Controller, 4, 6 & 9 station. The ESP-RZXi allows you to set individual run times, start time and water days for each station. You can also have each station water multiple times per day. Great controller for folks who infrequently adjust programs. Rain Bird ESPME Modular Controller Add 3 and 6 station modules to the 4 Station base unit for a maximum of 22 stations. Available in interior or exterior models.. Interior controllers use a 24 volt transformer that plugs into a wall outlet. They may or may not have a door to cover the controller. Exterior controllers have a 24 volt transformer built into the cabinet that allows 120 volt line voltage to be wired directly at the controller. All have a locking weather resistant door. Hunter Pro-C modular controller in either interior or exterior versions. Add 3 station modules to 3 station base module up to 12 stations. a 9 station module is available to create a 15 station model. 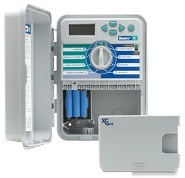 IrriTrol Rain Dial series controller available in 6, 9, & 12 station models. Interior and exterior versions available. Rain Bird ESP LX Modular Controller. Add 4 or 8 station modules to the 8 station base unit to 32 stations. 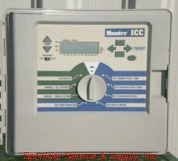 Hunter ICC modular controller with lockable cabinet Add 4 or 8 station modules to the 8 station base unit to 32 stations. Hunter XC Hybrid uses 6 AA batteries to power controller and operate 12v DC latching solenoids at the valves. Available in versions from 4 to 12 stations. Node-200 & 400, latching solenoids sold separately. 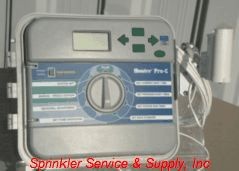 Rain Bird TBOS-II battery operated controller system. Base controller module uses one 9 volt battery and will control 1, 2 or 4 valves. Hand held field transmitter is used to program modules. 12 volt latching solenoids sold separately. Hunter Solar Sync weather station and interface module will work with existing or new Pro C and ICC controllers from Hunter. The weather station monitors rain, temperature and solar radiation and passes the information along to the module. The module in turn applies regional variables to estimate evapo-transpiration and adjust your sprinkler run times accordingly. 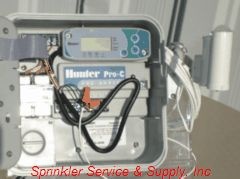 Rain Bird ESP-SMT Smart Controller System. 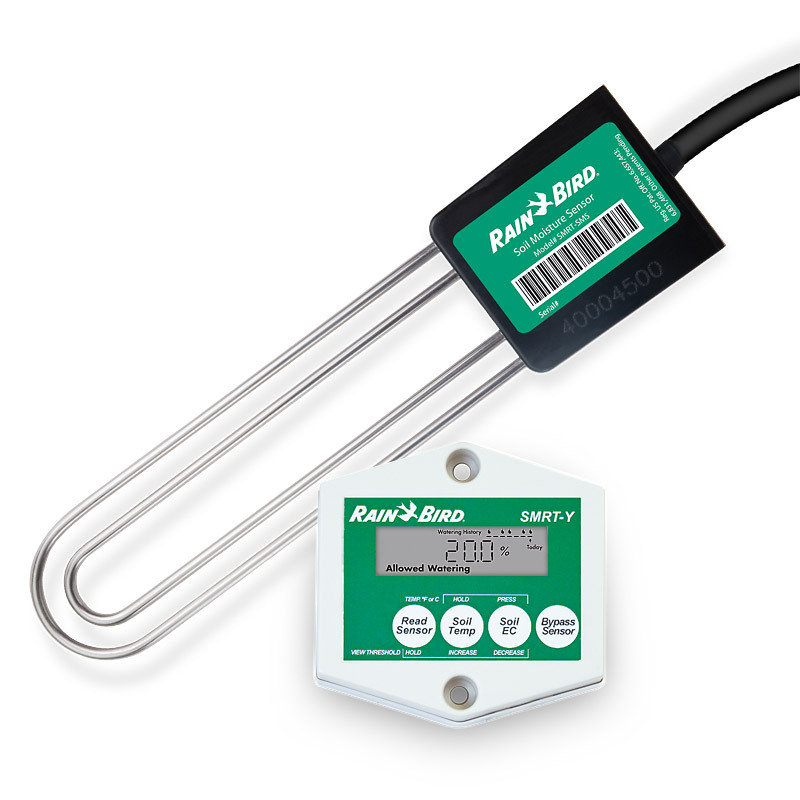 The controller uses historical ET data in combination with a weather station to adjust irrigation run times within a water window. Can be adapted to existing ESP modular controllers.